The Twyford E200 Compact handrinse basin features a short projection design ideal for cloakrooms and smaller bathrooms. It comes with the option of a left or right hand tap hole and has a built in overflow. 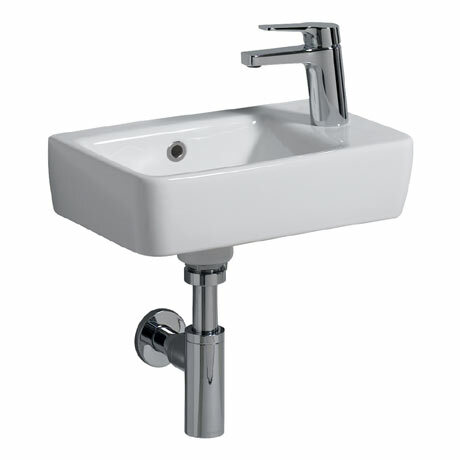 Manufactured from high quality vitreous china, this practical and durable piece of sanitaryware creates a statement in any bathroom. Suitable for domestic and commercial use. Dimensions: (W)400 x (D)250 x (H)100mm approx. Please note: Tap and bottle trap not included.